Those spending August in the city need not worry; there’s a new seaside hotspot buzzing with anticipation for the long summer nights of 2018. It’s August 1st, the day that for many Athenians means the real start of summer. Many set off on vacation, others wave their families off before heading back to work for another week or so before joining them. 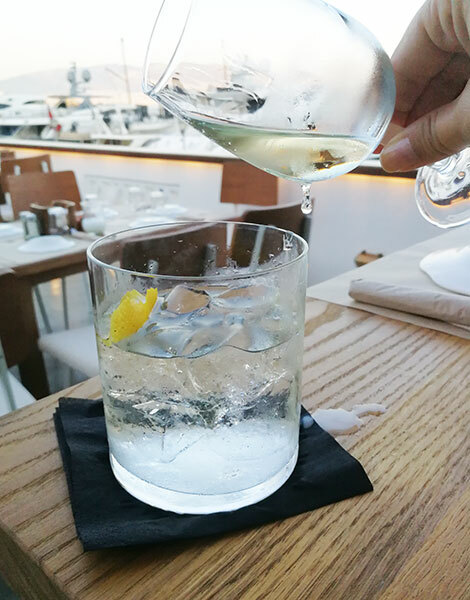 But for a new bar team in Piraeus’ yacht-filled Zea Marina, however, it’s opening day. I visit early in the day, and most tables are still empty. Pulling out a chair is like cutting a ribbon, or pulling the plastic off a new phone, and the nervous excitement of the staff is palpable. 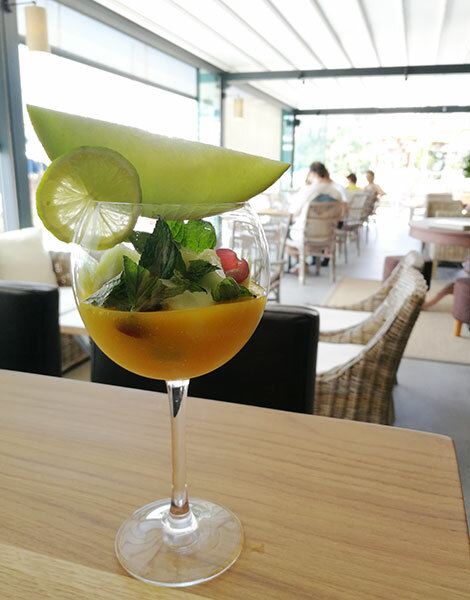 The chef turns my fruit salad, served in a wine glass with a fresh mango and ginger puree, left and right, wanting to find its best side before bringing it over. It has only best sides. 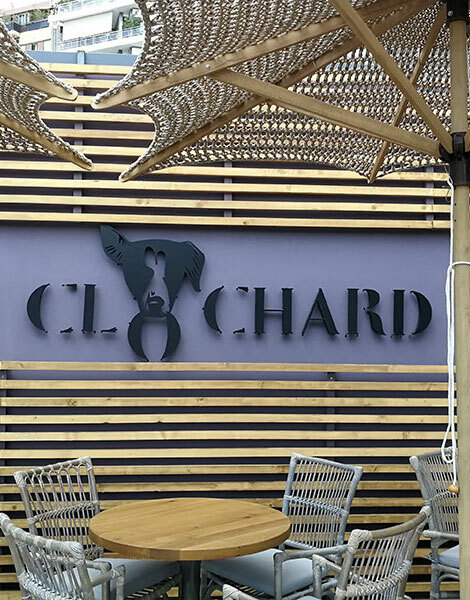 Clochard is the latest of many cafes and restaurants to open in Marina Zeas in the last few months, and if the success of the others is any indication, they’re headed for packed tables. Probably as soon as tonight. The last time Marina Zeas had this kind of traffic was a decade or so ago. 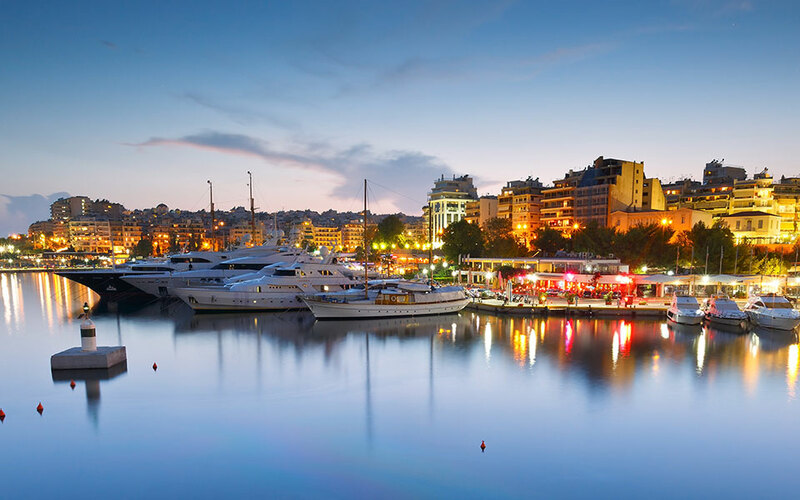 Since then, the marina has been almost forgotten about, like much of the rest of Piraeus. Some places closed, and visitors preferred to drive to other neighborhoods rather than hang out around the empty and dark restaurant spaces that separated the few that were still open; even the locals seemed to cut their visits down to an occasional coffee at Moby, beer at Okio, a glass of wine and a bite at Corks & Forks, or a cocktail at Rockfellas (which is still perhaps the best bar in Piraeus). However, this year, as the summer nights draw the Athenians towards the sea, the marina is filling up again. The "Bergamont Sparkler" is served with a glass of Paranga Sparkling on the side, as it's great with or without it. Each guest can taste their way to how they like it best. The first sign that things were changing was the news that Corks & Forks’ sibling, the oyster and jamon bar Hams & Clams, was moving from its small space next door, to a larger one with two terraces and great views inside the marina. About two months after the opening of the new space, people have fallen in love with the beautiful setting and the delicious food and cocktails. 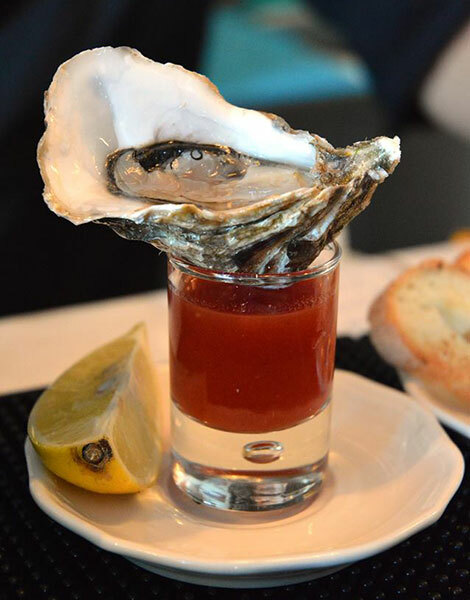 Try the oysters served with a shot of Bloody Mary, the fresh crab orzotto, the grilled fish and the lobster, which are new on the menu, and pair your food with a full-sized Green Bloody Mary, or the Bergamont Sparkling cocktail served with a glass of Paranga sparkling wine on the side. 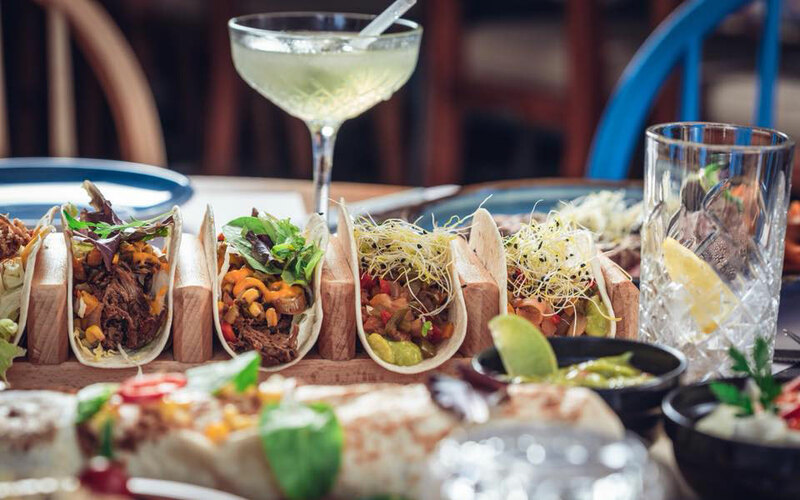 On the first floor of the same building, newly opened Pancho serves Mexican food, possibly the most up-and-coming cuisine in the city at the moment. Tacos, quesadillas and burritos are paired with respectable cocktails (but skip the frozen margaritas, which aren’t made from scratch). For dessert, go next door to Rocambolesco. Turning one month old tomorrow, this café is already drawing crowds with their gelato that’s made daily, though they serve a lot more than ice cream. I tried the Pizza Tartuffo with truffle paste, which was fantastic, and fell hard for the Miranda biscuit ice cream. Squeezed in between Pancho and Rocambolesco, construction workers are sweating in the August heat. Rumor has it that a new Mikel – a quickly growing coffeehouse chain from Larissa, will open here soon. The Pizza Tartuffo at Rocambolesco is generously spread with truffle paste. Things are happening outside the marina as well. Hams & Clams had barely closed the doors at its old space before a new restaurant opened a few doors down. 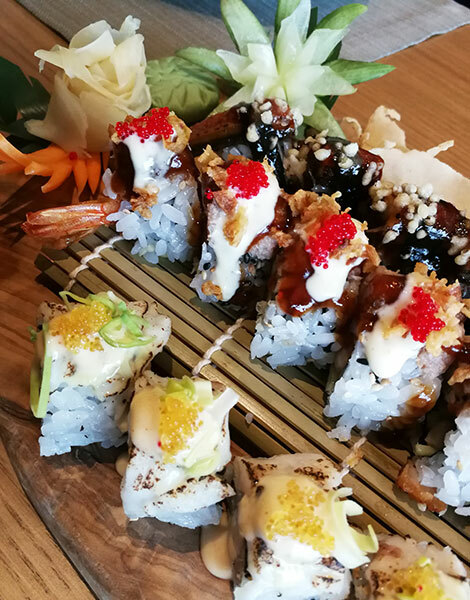 Uniqko serves brunch, steak and sushi. The combination sounds odd, and maybe even a bit wrong, like those tourist restaurants advertising moussaka, schnitzel and ice cream, but there’s a backstory to the concept. The owner, American chef Niko Marinos, worked at fine restaurants around the US for many years, and what he serves is what he classifies as a distilled version of the New York restaurant scene. A mini Big Apple above Marina Zeas may also sound just a tad crazy, but Marinos insists that: “If I can make it here, I can make it anywhere” (yes, Niko Marinos is about as New York as it gets), and the food is good. I enjoyed both the sushi and the desserts. 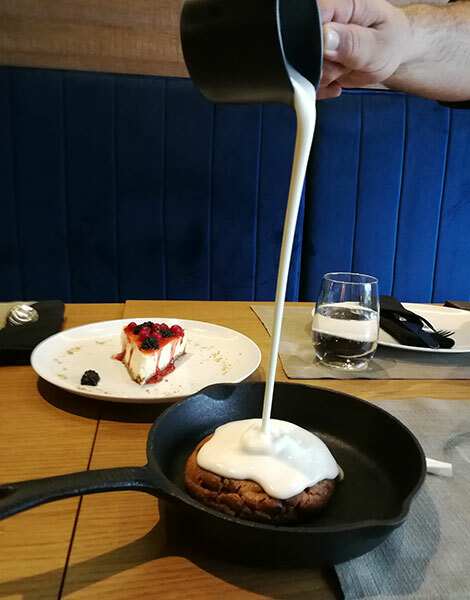 Try the giant cookie served with melted ice cream, and the Brooklyn Cheesecake. Three kinds of sushi at Uniqko. Zea Marina is as full of promises as a new summer fling, but something tells me that, when autumn comes, this might just turn into something real. 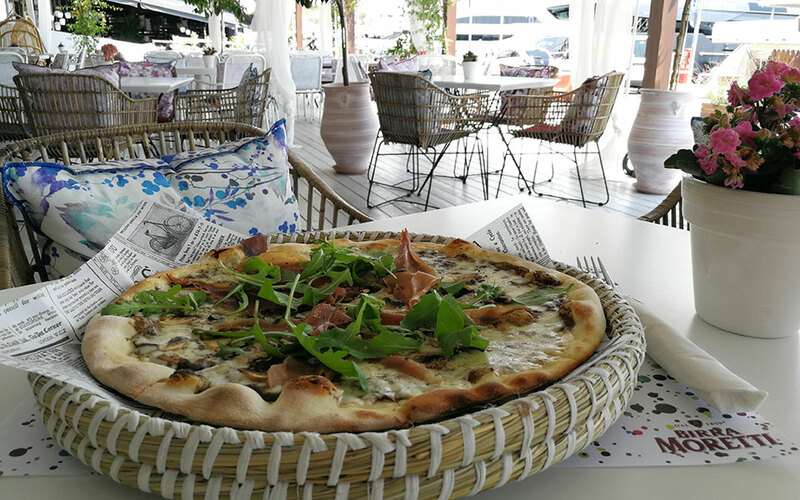 All of the restaurants mentioned in this article are situated inside the Zea Marina, except for Corks & Forks (which you’ll find on Akti Themistokleous Street & 1 Pargas Street) and Uniqko (at 40 Akti Themistokleous Street).